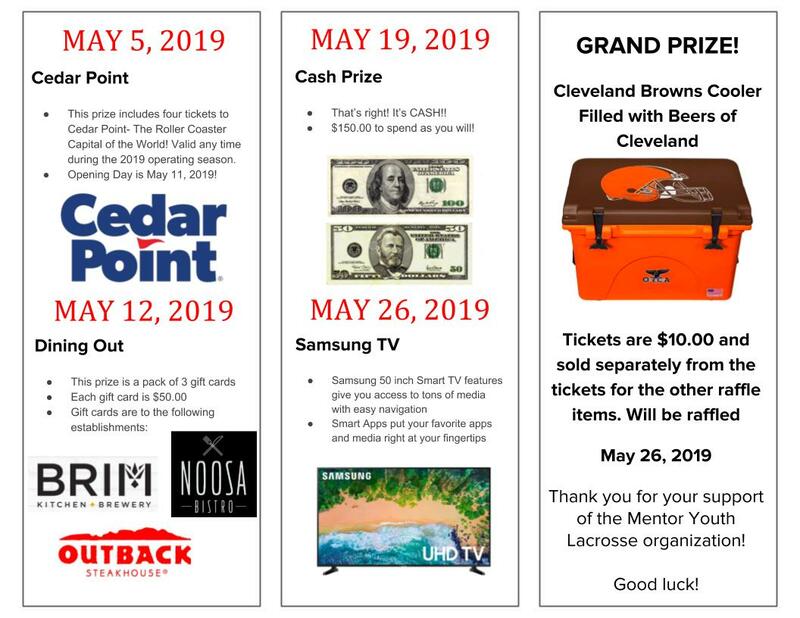 Please help support Mentor Youth Lacrosse by participating in this season's raffles! Players were sent home with tickets following practices this week. but the first weekly prize drawing is next weekend (April 7th)! We have plenty of tickets available - ask your Coach or Team Parent! Registration includes uniforms and all game and tournament fees! 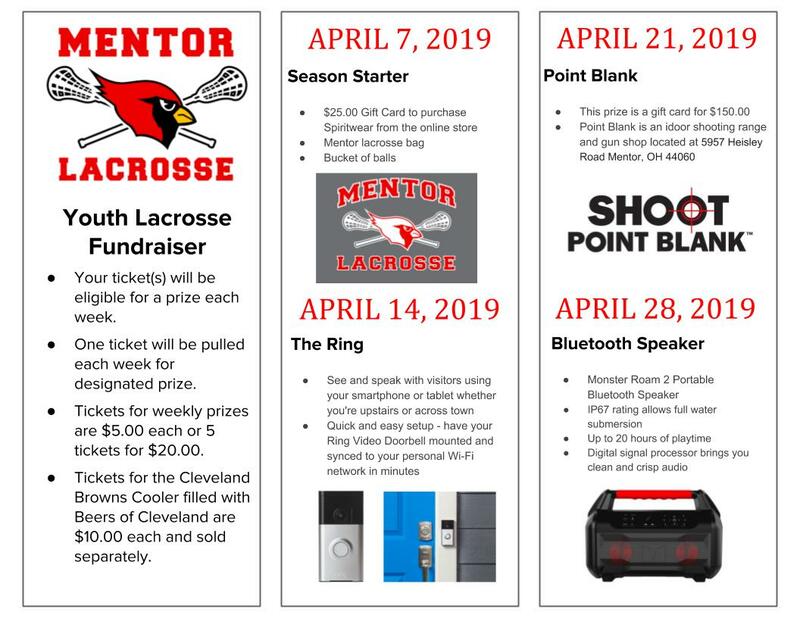 New to Lacrosse or interested in playing? Sign up on our mailing list to keep up with important dates and details! Note: by registering, you are ONLY signing up for mailings and not the season.